The Kinetic Fighting team was made up of eight Special Forces veterans including its founder, KEF Group CEO Paul Cale. 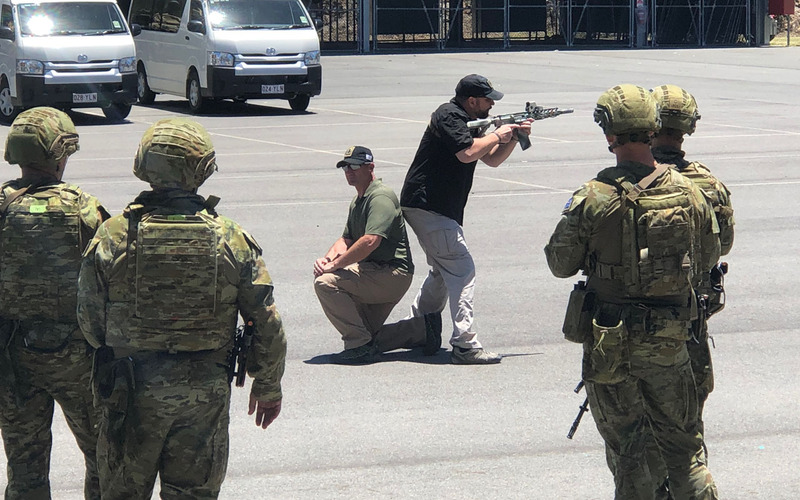 They put diggers through their paces with courses in behavioural threat assessment (including cognitive biases), extreme close shooting (ECS), close personal protection (CPP) techniques, close-quarter combat and the Australian Army Combatives Program (ACP). 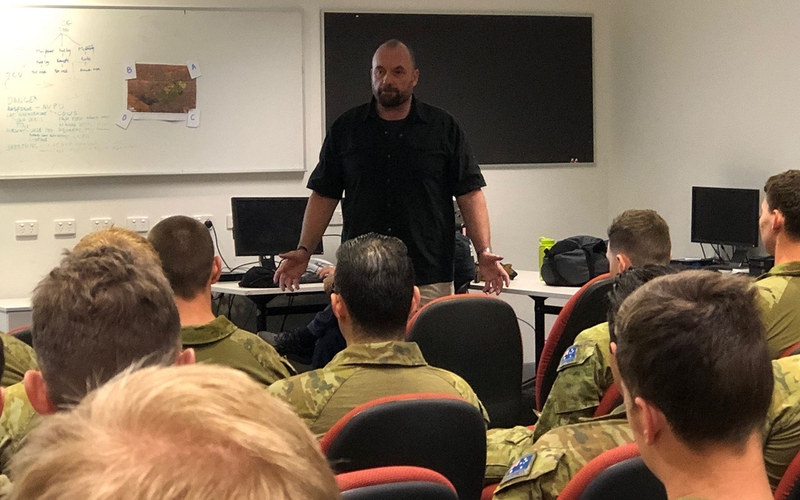 KEF Group has trained 600 Australian military personnel in 2018, providing programs, trainers and subject-matter expertise across a variety of combat-related disciplines. Paul said that, regardless of the skill set being taught, it’s imperative that each course caters to the team or individuals doing the training. In the case of soldiers, it all comes back to their weapons systems. “We work off people’s primary skill sets,” said Paul. “A soldier’s primary skill set is shooting, so I don’t try to change that — I want to make it more effective. If I talk in the language of the gun to a soldier, they pick things up very quickly, so that’s what I do. From there, I show how they can quickly and easily, as a team, become more capable and less lethal — meaning their ability to apply effective non-lethal techniques is enhanced, while they maintain the ability to go lethal if necessary. The training actually helps potentially lethal operators have a plausible less-than-lethal option. 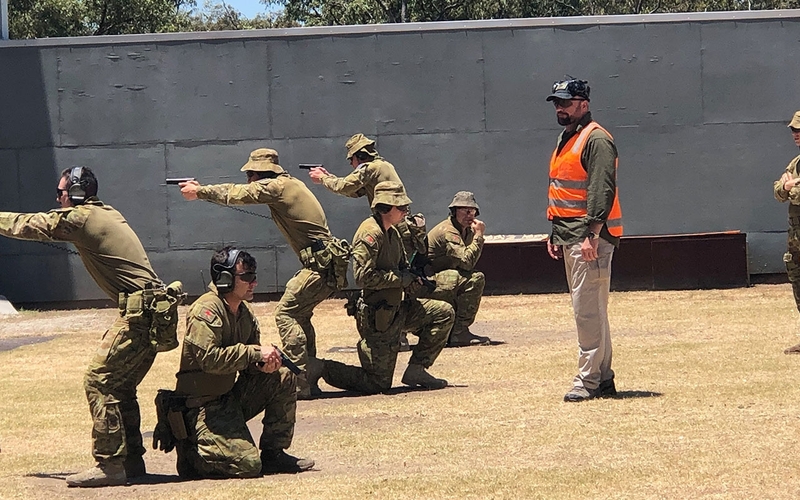 Kinetic Fighting first delivered its Individual Skills Enhancement Training for Army in 2016, to the 7th Battalion Royal Australian Regiment (7RAR) in Adelaide. 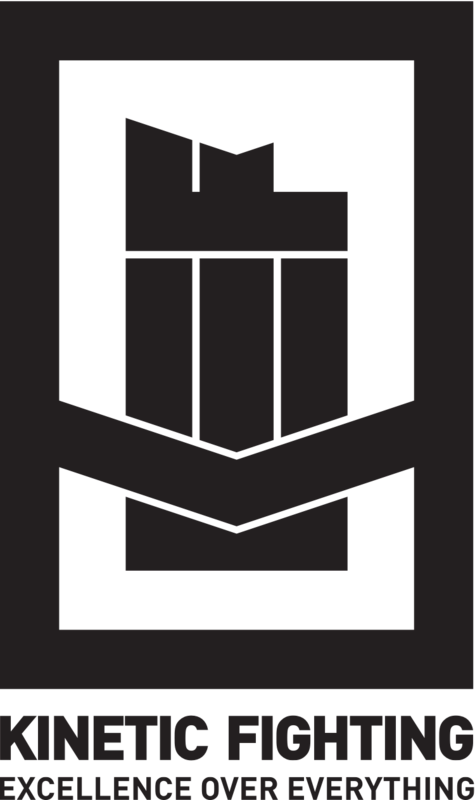 This followed successful implementation of its Integrated Combat program into the School of Infantry two years earlier. ISET began as a means of refining soldiers’ skill sets to meet the demands of specific deployments — a task initially slated for serving Special Forces (SF) members. However, with SF units too heavily committed in combat zones to take up a training role, the Australian Defence Force looked beyond its ranks. Kinetic Fighting’s seasoned SF operators, all with extensive combat experience, offered a ready solution. Since 2016, ISET has expanded in scope to keep up with the changing demands of the contemporary battlefield. 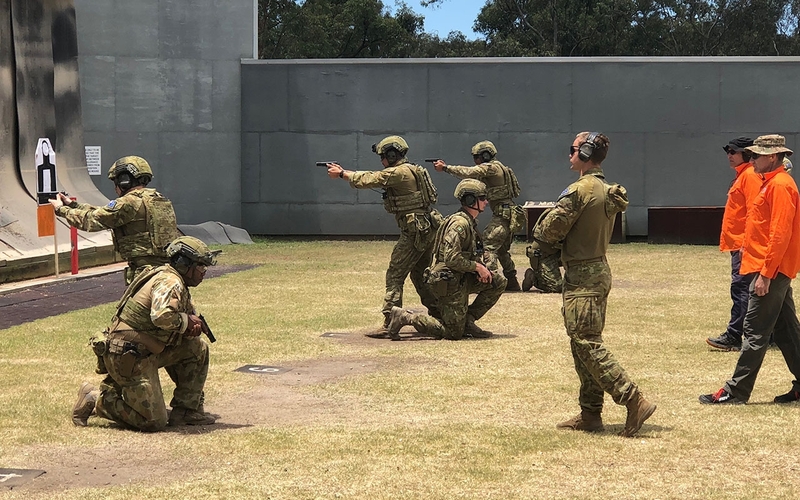 “From one unit’s decision to sharpen their deploying soldiers’ training with an expert eye over their shoulder, it’s becoming compulsory training for every deploying soldier,” said Steven. ISET kicks off again early in 2019 with courses in tactical driving for high-risk operations and CPP (close personal protection) duties. For all training enquiries, contact KEF Group here.